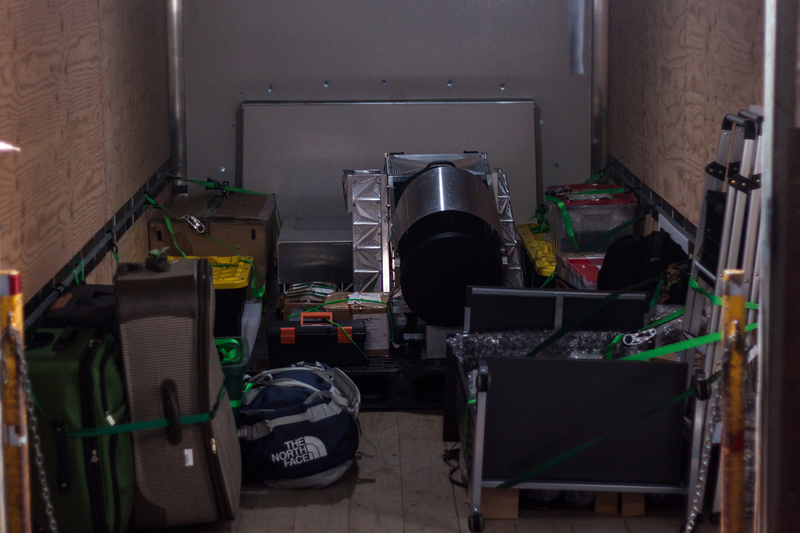 high contrast imaging equipment on board a stratospheric balloon flight. Many things happened in the last month for HiCIBaS’ team, culminating on Saturday, August 25th at 11 pm, with the launch of the last flight of the Strato-Science 2018 campaign. The FAST-CARMEN scientific gondola hosted HiCIBaS’ payload, along with other Canadian experiments and CSA systems including ALI V2, CATS, HABOO and PRISM. The 12-hour flight allowed us to achieve many objectives of the mission. Post-flight analysis will be performed in the next months. For the latest information about HiCIBaS, visit our Facebook page HiCIBaS Balloon-borne mission. After a two-day truck ride between Québec QC and Timmins ON, the payload arrived to the launch site at the Timmins Victor M. Power Airport. 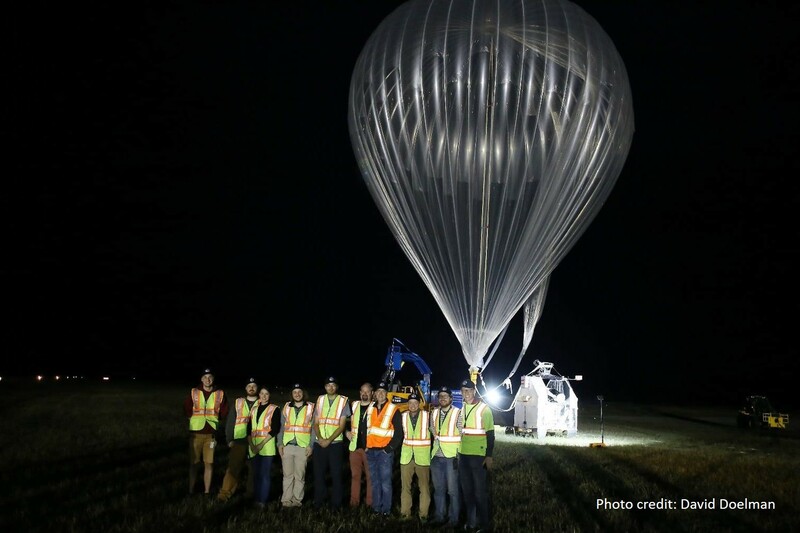 The team members and collaborators will also gather at Timmins where the STRATOS Canadian stratopheric ballon launch site is located. From the latest results in the lab, the Coronagraphic Modal Wavefront Sensor successfully operates in closed-loop with the first twelve Zernike terms. This great achievement was realized by Chris de Jonge, the PhD student from SRON who’s working in strong collaboration with Université Laval’s HiCIBaS team during the final integration phase of the project. 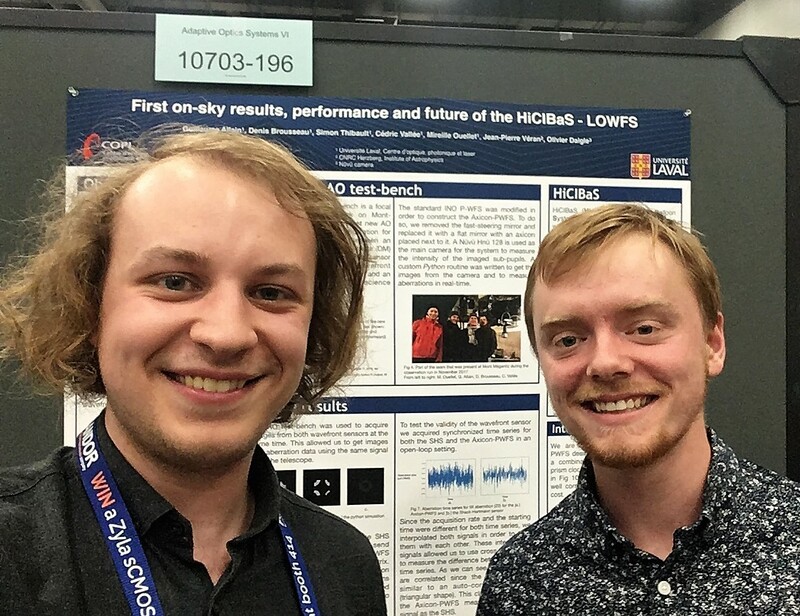 This weeks, Master's student Guillaume Allain and Olivier Côté presented posters at SPIE Astronomical Instrumentation + Telescopes in Austin, USA. 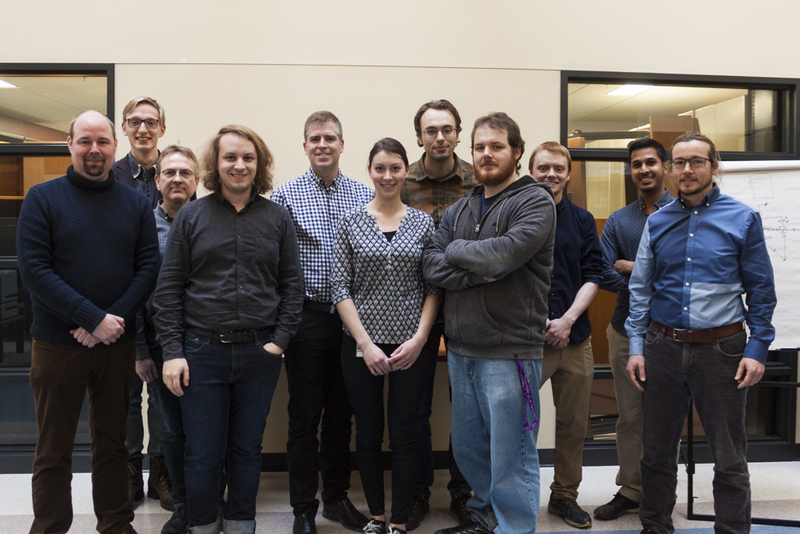 Their posters focused on the Low-order wavefront sensors first on-sky results and the system engineering behind the HiCIBaS mission respectively. 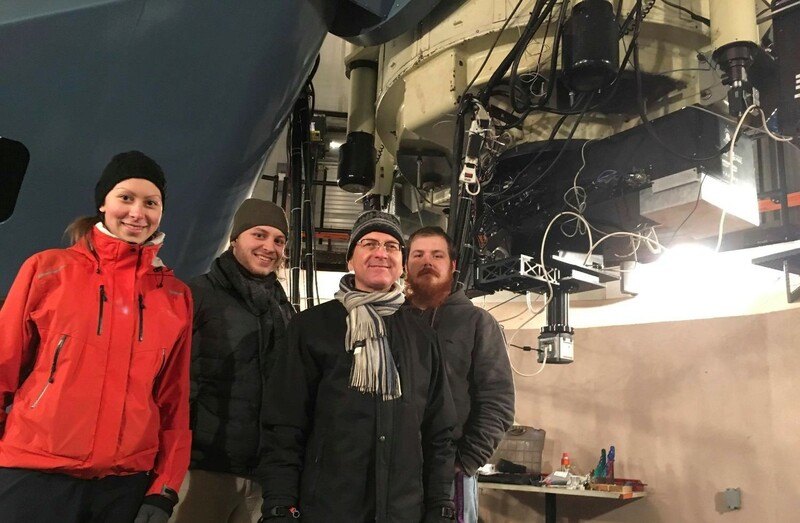 It was also a great opportunity for Allain and Côté to attend scientific talks in the field of adaptive optics and airborne instrumentation for astronomy. Researcher Marcel Dijkstra and PhD student Chris De Jonge from SRON Netherlands Institute for Space Research visited us this month. SRON's contribution to HiCIBaS is to develop the software for the High-Constrast Imaging Instrument on board. 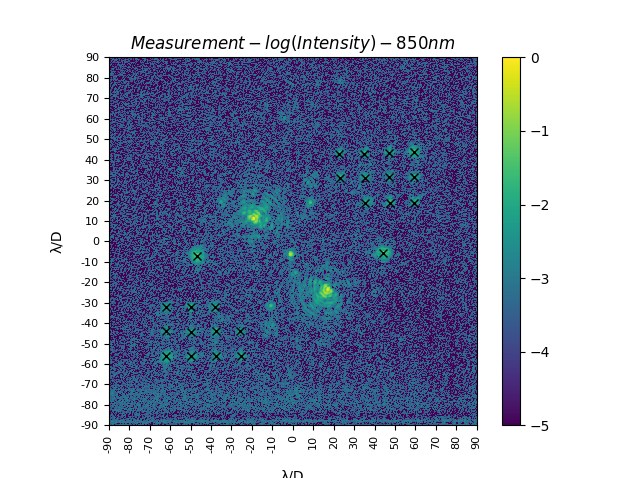 Chris performed several tests and images acquisitions with the integrated optical bench to verify the readiness of the control software for the modal wavefront correction. 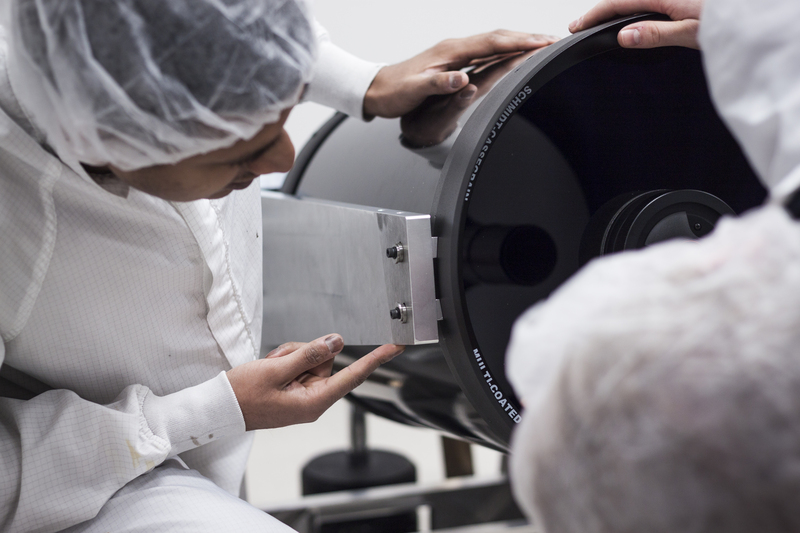 He worked in collaboration with Marcel who was completing the integration between the hardware and software for the different instruments involved to achieve high contrast imaging. Overall, the tests with the integration system gave us a better understanding of which are the main parameters that needs to be optimized in order to achieve a better contrast. The Mount is here! The telescope's Alt-Az mount is now assembled and ready for the upcoming integration test at the end of May. We would like to thank OMP Inc. for their help in the design and final assembly of the mount. The optics box and accompanying optical mounts have also been delivered. Guillaume and Mireille are assembling the last pieces of the payload. 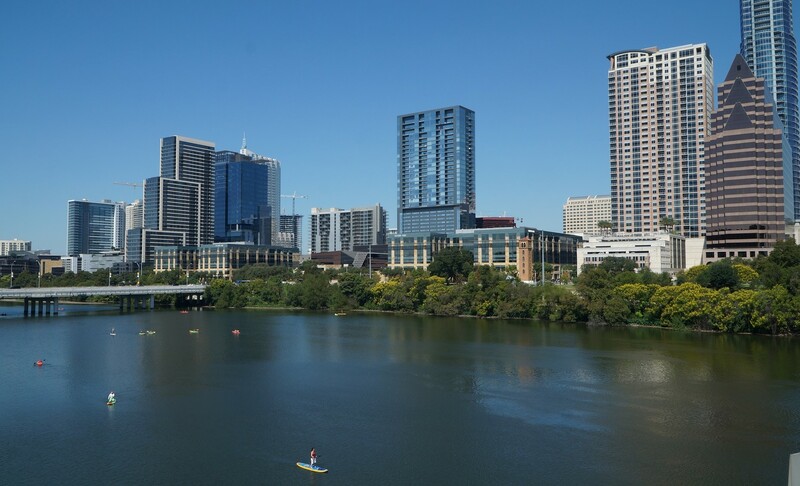 Master's students Guillaume Allain and Olivier Côté will be presenting posters in June 2018 at the SPIE Astronomical Telescopes + Instrumentation in Austin, Texas! Meet Olivier to learn more about the HiCIBaS project (Paper 10702-153) and Guillaume to discover innovative Low order waveFront sensor (Paper 10703-196). More information is available in the Publications section. The core of our solution for guiding the telescope to the right star in the sky is a custom build solution for a “lost in space” star tracker. 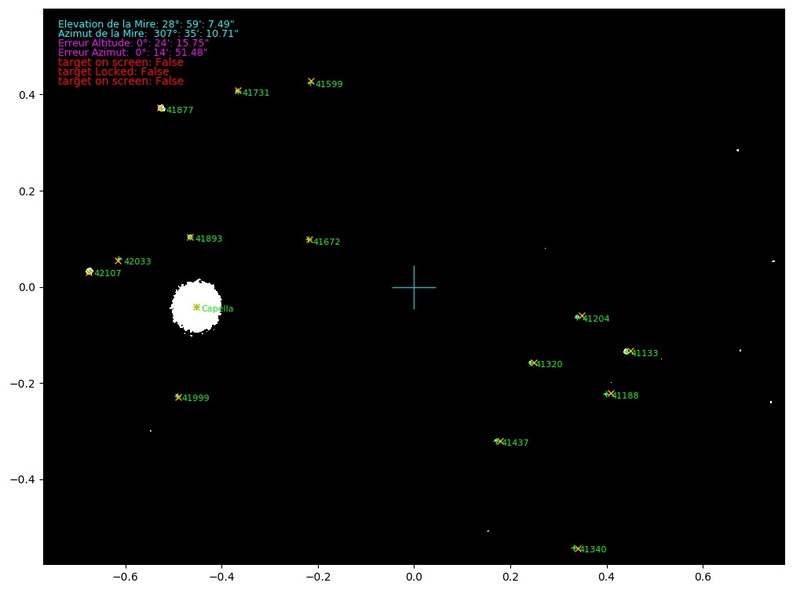 We are able to use the arrangement of the stars in the image and, with a pattern recognition routine, find the appropriate coordinates in a star catalogue that would explain such a pattern. After months of testing with computer simulations, we had the occasion to take a high quality picture using similar hardware that will be used on the final HiCIBaS system and successfully solve the “lost-in-space” quite effectively. The next steps are refining the algorithm and testing it with a closed loop with motors directly on sky. 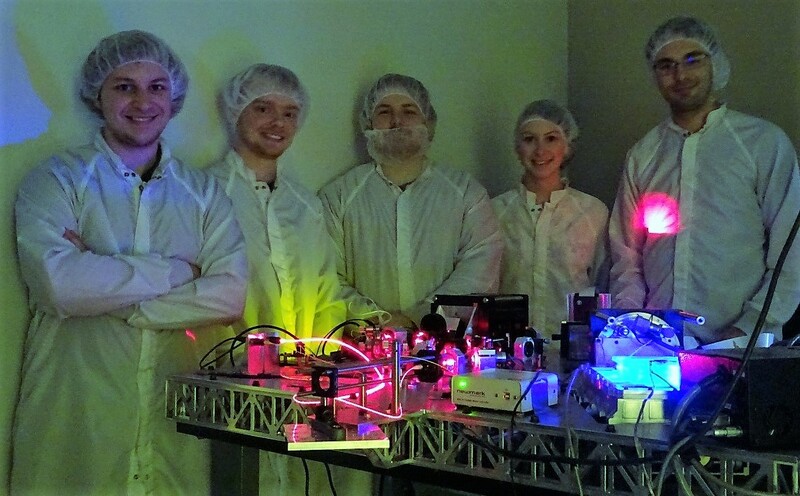 In early November, members of the team were at the Observatoire du Mont-Mégantic for the first on-sky testing of the low-order wavefront sensor (LOWFS) concept that will be used on the HiCIBaS system. 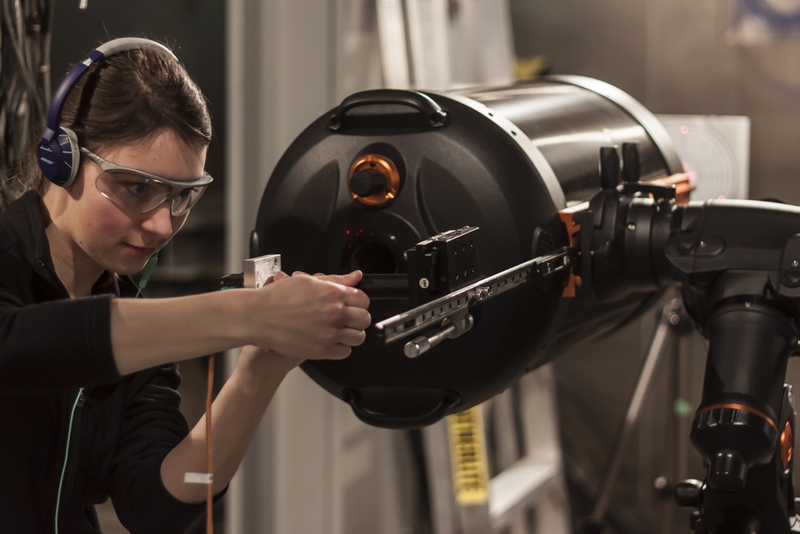 The LOWFS was mounted on a new version of an adaptive optics test-bench developed here at Université Laval (see our proceeding about the last version). This instrument can take up to two difference wavefront sensors (a Shack-Hartmann sensor and a modified pyramid wavefront sensor (P-WFS) in our case) in order to compare the two. The PWFS was gladly provided by l'INO (here is a proceeding about the WFS) and was fitted with an axicon to emulate the system that will be used on board.